This is "the standard" tree marking paint for all of our logging customers here in the Pacific NW. 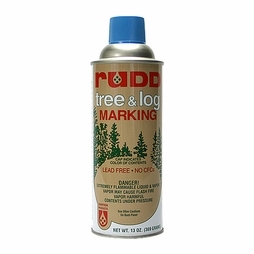 It is specially developed for identification marking of trees, logs and lumber. 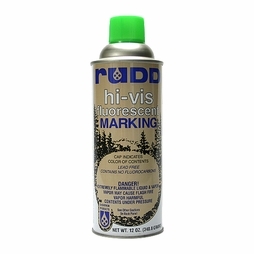 Formulated for optimum product performance to provide highly-visible marks that withstand the critical test of long-term exposure. 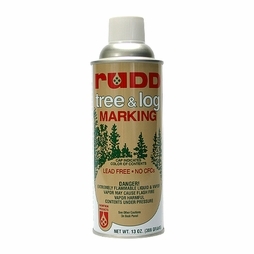 A controlled penetration rate gives uniform marks on smooth and rough surfaces...the special resin and pigment system provides long term durability and resistance to weathering from sunlight or moisture. 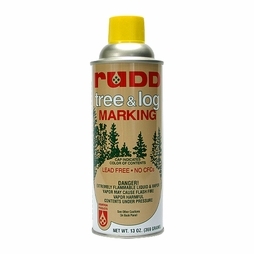 Designed for optimum performance...the specially balanced formula reduces settling, promotes total product exhaustion, and the high solids content means more paint for more marks. A high-quality, dependable, cost-effective, product created to meet today’s forestry marking needs. Available in standard and hi-vis colors. Buy it by the box and save! The RUDD brand has been purchased by Forrest Technical Coatings, and the paint is being rebranded as "HIGHBALL". Cans with new labels are starting to hit our inventory and we will update our product images as soon as possible. While the can and overall branding is being updated, the original RUDD paint formula remains unchanged--same paint, new look!